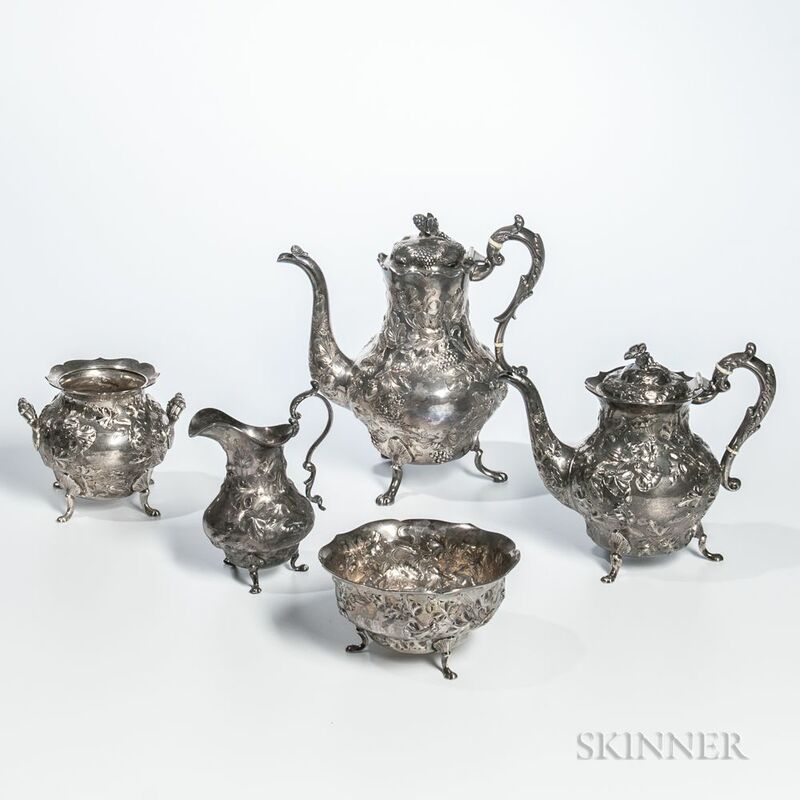 Five-piece Coin Silver Tea and Coffee Service, Jones, Ball & Poor, Boston, Massachusetts, c. 1846-53, includes a coffeepot, teapot, creamer, sugar bowl, and waste bowl, each with chased and engraved repousse flower and vine decoration, coffeepot and waste bowl monogrammed "M.W.J.," coffeepot ht. 10 1/4 in., approx. 82.7 troy oz.